Inside Information brings the In Between Days Series in line with Star Trek: Discovery. On the Discovery, a young crewman knows something no one else does. His ancestors have visited him in his dreams, and they have told him there’s a way to get home. And this young crewman is Douglas Malcolm Beckett. But he’s changed his name to Hayes. For the ghosts of Douglas Jay Hayes Beckett and Charlotte Lilienne O’Day Beckett, it’s irresistible. Their descendant is in peril and he’s afraid. So they enter his dream state and they comfort him. But they also let him know that he can get home if all else fails. For one of the great patriarchs and one of the great matriarchs of an enormous dynasty, the chance to help one of their own will always be on the table. And so Doug and Lili arrive, in mists and clouds and mystery. Doug the younger is the son of Jay Hayes Beckett. Jay is the son of Joss, who is Doug and Lili’s first born. Doug the younger is also of interest because he’s born on December 3, 2229, giving him the same birthday as Douglas Jay Hayes Beckett. The difference, though, is 127 years. Doug the younger’s sister, Lilienne Melissa Beckett, is born in 2230. In Fortune, Q shows her to Lili. But the tree goes on and Doug the younger also connects to Barnstorming. In 2265, he marries Penny Webb. Their son, Steven Hayes, is born in 2270. He marries Lucy Kimura. Steven’s daughter, Lilienne Charlotte Hayes, is born in 2309. During Play, Time Out, and Overtime, Lilienne is one of the thirteen living descendants of Doug the elder. Their son, Jay Neil Hayes (born 2307) has a daughter, Sheilagh. She marries Don Porter. Their daughter is Tamsin Jennifer Porter, another of the thirteen. Doug the younger even refers to The Human Pioneers of Lafa II, neatly bringing Norri into the fold. It was a quick story, tossed off fast. But it ties the story together even more, and the family lives on, from generation to generation, and from series to series. With Time Out, I abandoned the sports theme completely and instead did some personal head canon repairs. That is, I had put characters into an alternate temporal scenario and then I needed to get them back to the prime timeline. And I had to do this without destroying the continuity I was creating in the Barnstorming series. At the time I first wrote this story, I was even more burned out than before. I was absolutely running out of things to say, and so I shuffled the cards, big time. This also rather neatly plugged a hole in the Times of the HG Wells series. Now, that was a hole that only I could see. But I do like to be consistent. The hole in the Wells timeline had to do with Dana, who hooks up with Rick. Once I realized I would rather she was Marty’s great love, she would have to somehow not fall prey to Rick’s charms. Time Out stepped outside of the sports theme entirely for a very new story line. Instead of being a coach, Mack MacKenzie, is now called Dana, and she is the Tactical Officer on the Enterprise-E. As before, Martin Madden is still the First Officer. However, other players are in new places. And it’s all because of the accidental firing of a pulse shot. At the same time, Marty is investigating an odd phenomenon which seems to directly relate to the O’Day-Hayes-Beckett-Digiorno-Madden-Reed family. New relatives show up, including the exceptionally annoying Tamsin Porter. Much like in the prime timeline for this series, Porter has the hots for Madden, and the radiation band cycling phenomenon still exists. It is one of the drivers of the plot. One thing this story did well was show just how hit and miss so many of the time travel missions should have been during the Wells series. It was also a chance to showcase an earlier Rick, one who hasn’t yet met the Becketts. Hence for him, the time frame for the story is pre-Temper. In addition, it brings up one interesting point. For the temporal and spatial dislocation in Crackerjack, it’s due to the remnants of a pulse shot. Originally, I had wanted it to be a post-Temper leftover of Empress Hoshi‘s doings. But what if it was due to experiments by Szish, the Gorn who built Mack’s ship, the Cookie? With the other references to the Crackerjack dislocation, this could be a way to wrap that up as well. I am currently trying to wrap up the final book in the series, so I might use this insight. But I was flagging, and it shows. Killers drive plots, and even create them. For many victims, someone has responsibility for their ends. Doug Beckett, one of the killers (image of Steven Culp is provided for educational purposes only). Murdering, of course, appears in canon all the time, from the numerous red shirt deaths in the original series to the end of Tripp Tucker‘s life in the execrable and otherwise forgettable These Are the Voyages. Doug’s crimes have been outlined before in this blog. The Mirror Universe ends up being quite the ruthless place when I write it. And his crimes come to life in Fortune when Q shows them to Lili. The final killing, of Deborah Haddon, is an accident seen in Reversal. In order to consolidate her power, Hoshi leave a trail of bodies in her wake in Throwing Rocks at Looking Glass Houses. And in the case of Dr. Phlox and Malcolm Reed‘s demises, she uses Crewman Elizabeth Cutler as the agent of destruction. The incident happens quite by accident, when trying to steal a shuttle during the E2 time frame (second kick back in time). Hence the Ikaaran, Verinold, ends up as a killer. He drags Daniel Chang into space without a pressure suit. As a result, Verinold ends up banished to the tiny, dim world which Sandra Sloane has named Speakeasy. While all higher-up Mirror Universe denizens become pretty much murders by definition, I wanted to make it so their actions would have some meaning. And in particular, that makes Doug’s crimes all the more horrific, as so many of them occurred due to some of the flimsiest excuses. For Reversal in particular to work, there had a to be a number of people ready and able to go to war. In particular, as the Mirror Universe is so different from the prime universe, a lot of people would be soldiers there who wouldn’t be so here. Or they would be more violent and less disciplined than in our universe. As it is explained to Lili, the percentage of military personnel is deliberately kept very high over there. There are more MACOs in particular than the group listed here, but these people are seen the most. This Calafan recruit drills directly under Doug and, in the Mirror, in one of the alternate timelines, assassinates the Empress Hoshi Sato during Temper. Doug, a trained killer, spends much of Reversal trying to leave the practice of making war. When he can’t find anything else to do with himself in Together, he eventually becomes the captain of a defense unit on Lafa II, and instructs recruits. Chang, a canon character, defends the Enterprise but, in the E2 timeline, commits crimes. Curtis is another E2 timeline criminal. In the Temper alternate timelines, he’s named Craig. In the prime universe, Delacroix is a security guard who becomes a chef. In the Mirror, he nearly kills Doug. Unlike the other five kids, Tommy joins Starfleet and goes into Tactical. In the deep future, Tom is assigned to the Breen homeworld before he joins the Temporal Integrity Commission. Deb works in Security in both universes. In the Mirror, she kills Brian before he has a chance to off Doug. But her victory is short-lived, and she perishes when he leaves that universe. The consummate soldier, Major J. Hayes is so committed to defending the ship that he has nearly no time for people. Yet another E2 criminal, Hodgkins often pairs with Curtis, particularly in the Mirror. Chip is wasted in Security and moves over to Communications. This isn’t possible in the Mirror, so he stays in Tactical. In the prime timeline, he escapes the Empress, but in one of the alternates, he rises to become captain of the Defiant. Travis is a soldier in the Mirror Universe only. He’s a poor soldier, though, and an even worse leader. In the alternate timelines, and in the prime timeline, he is fragged by his own troops. Like Travis, Andy is only a soldier in the Mirror. When the Empress taps him for somewhat earthy duties, he manages to get himself reassigned to Science. The other consummate canon career soldier, Malcolm is more ambitious and tries for a command as soon as he can get one. José is another person who is only a soldier in the Mirror. He is not cut out for command at all and, in an alternate timeline, destroys his ship, the Luna, and everyone on board is killed. Star Trek fanfiction will always have a place for men and women (and other genders) in uniform. Jay and Doug Hayes both needed a father. 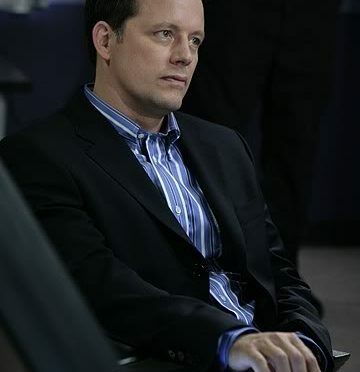 Steven Culp himself had suggested that Major Hayes’s name was either Jay or Jeremiah. By using Jay for the Major, it made sense to use Jeremiah for his father. Jeremiah Hayes is played by veteran actor Steven Culp. I love the idea of using the same actor for both fathers and sons, much like Scott Bakula did in Quantum Leap. Rigid and somewhat militaristic in his thinking, Jeremiah orders his child or children (depends on the universe; in the prime universe, he has a daughter, Laura. Laura doesn’t exist in the Mirror Universe). He isn’t necessarily mean, but he is emotionally unavailable. Jay and Doug both seek their father’s approval. For Laura, there is nearly nothing known about her relationship with her father. Jeremiah’s only known relationship is with Lena. He is, without question, the king of the castle. In the mirror, Jeremiah is tough and he tries hard to make Doug tough. This causes Jeremiah to send his only child away to boarding school a few months before Doug has to go. The idea is to toughen Doug up, but it frightens the sensitive child. When Doug is beat up enough times, he becomes tough and unfeeling on his own, and without Jeremiah’s help. It isn’t until Doug meets Lili that he learns to open up. Is Jeremiah a spousal abuser? There have been readers who have interpreted him that way. My own personal jury is out. I think that in the Mirror Universe, he treats Lena fairly well. After all, I write MU women as having a tough lot in life. Lena is no exception. But it’s quite the coup for her to have become attached to such a strong man. But Jeremiah isn’t necessarily powerful, and they aren’t necessarily wealthy. Given how Jeremiah behaves, and what he says in the Mirror, his early life was a lot like Doug’s. Doug gets a chance to redeem himself, whereas Jeremiah never seems to. In the prime universe, he’s mainly just a rigid military man. But in the Mirror Universe, he’s another casualty. So for a prompt about sweetness, I gave two answers. This was the second one. My idea was to get across the sweetness of relationships, both the long-term and the fairly new. In addition, in Fortune, one of the family photographs was of Joss and Jia at their prom. I wanted to fill in the blanks, the missing details, of that. Joss, a little jumpy in a tuxedo, is cooling his heels before Jia and her parents arrive to take him to the prom at their little school on Lafa II. Marie Patrice is, as she often is, a little snarky. Declan even jokes a bit. Lili is of course more supportive. Malcolm is mentioned very briefly. There is a little bustling as Doug arrives with groceries. The kids go out to help (after Lili tells them to), but she holds back Joss so that he won’t get dirty. There is a mysterious blue bag. No one is allowed to touch it. Once the food is put away, Doug opens up the bag, revealing a carnation boutonniere for Joss and a corsage for Jia. Jia’s parents, Mai and Geming, arrive with their daughter. Savvy readers will recognize Geming’s counterpart as being Doug’s final deliberate kill in the Mirror Universe. After they depart, and the other two children return to their homework, Lili laments that Doug never had a prom. He confirms that, at the time, he was finishing up at West Point and about to go into Basic Training. But he’s got one more surprise for her. I enjoyed bringing this story together, and I think it works rather well. So Doug and Lili’s love is obvious, and Jia and Joss’s relationship is on the cusp of becoming something great, too. Equinox is where I had to kill one of my darlings, an event from Fortune. For a monthly prompt about sacrifice, I wanted (as I often do) to turn it on its head. This was not to be a story about noble sacrifices for idealistic causes, with Starfleet cheering all the way. Instead, it was to be a story about personal human sacrifices, and how Starfleet can, I suspect, chew people up and spit them out. The story begins with Malcolm telling Travis and Hoshi that he’s going to miss them. Hoshi is looking forward to spending more time with her family. Travis is trying to salvage his marriage. They are both retiring. It’s 2181, and they are the last three left of the original seven senior officers on the NX-01. T’Pol has returned to Vulcan and Phlox is back on Denobula. Tucker is dead, and Archer is pursuing a political career, which dovetails with Star Trek: Enterprise canon. With Hoshi and Travis’s retirements, Malcolm will be the last one standing. And then he gets a call from Leonora Digiorno, and learns that Doug Beckett has died in the forests of the southern continent of Lafa II, a scene from Fortune. Hence Malcolm knows that, no matter what, he’s got to get home and be with Lili. And he will have to set aside everything and, potentially, jeopardize his standing and his command, things he has worked very, very hard for. But there is no question. He will go to Lili. So I like how it turned out, as it wove the themes of sacrifice and familial duty, crossing them with duties to Starfleet. It was a chance to fill in a few gaps left in Fortune, and to bring in the bench characters and give them great roles, people like Aidan, Chip, Deb, José, and Jennifer. The story acts as a bridge to the deeper future and continues the process of tying In Between Days to the Times of the HG Wells. Finally, I think it fulfilled its purpose well. Atlas gives Jay a backstory. In response to a weekly prompt about painting a scene, I submitted Atlas. As far back as Reversal, I had described Titania as a kind of Southerners’ paradise. This story gave me an opportunity to showcase that. In late April of 2133, Jay is a sergeant and is under a Major Ian Landry. Savvy fanfiction readers will recognize Landry as being one of Doug‘s kills, in the Mirror Universe, as described in Fortune. The MACO unit has just gotten an assignment to Titania. While Jay is an NCO, the military presence is new. Hence not all of the barracks buildings are up. Therefore, even though he isn’t supposed to, he must bunk with the enlisted personnel. Jay meticulously sets up his area, following every regulation down to the minutest detail. His neighbor, Mercer, is a lot less careful. Plus the remainder of the enlisted men only imperfectly execute the unpack order. Only Jay gets everything right. As a result, he gets Cinderella Liberty, and takes his time off to go to the Bar District of New Natchez. He has some small adventures, and even sees a woman who will eventually turn out to be Susan Cheshire, although he does not approach her. I like the little look into Jay’s background. At the time, I was writing The Three of Us, and it struck me that I had very little on Jay’s background, and that needed to be rectified. There are a lot more stories I could tell about Jay; I have barely scratched the surface there. Throwing Rocks at Looking Glass Houses is yet another multi-dimensional title. The rocks would be a shattering of conventions. The looking glass of course is a reference to the Mirror Universe. And the glass houses naturally are exactly where you don’t want to throw any rocks. Furthermore, I decided on rocks rather than stones as they imply irregularity and roughness. This contrasts with Paving Stones as there the action follows set patterns and traditions. This story upends those traditions and it shows just how Hoshi changes everything. I wanted a transitional story, a power grab, showing Empress Hoshi getting where she wanted to be. This would take place between the end of the canon episodes, In a Mirror, Darkly and In a Mirror, Darkly II and before Paving Stones Made From Good Intentions. Therefore, it had to be before Doug became a Lieutenant Commander, running Tactical (after defeating Chip Masterson and Aidan MacKenzie in a competition). Ian (Malcolm‘s counterpart) and T’Pol had to still be alive. Phlox would still be the doctor; this would be before Cyril Morgan. But things would be changing. Having declared herself Empress, Hoshi has to consolidate her power. She has to eliminate threats and pick up allies. This means ruthless Machiavellian efficiency. Furthermore, she has to get rid of the Emperor, who I write as a descendant of canon mass murderer Philip Green. Green brings along only three bodyguards, foolishly underestimating her bloodlust – my original characters, José Torres, Brian Delacroix, and Andrew Miller. The story is punctuated with quotations from Sun-Tzu‘s The Art of War and Machiavelli’s The Prince. I like how it turned out. In particular, I enjoyed putting together Hoshi’s plan and showing her nastiness. Her impatience with science and with delays, her casual approach to murder and her lust are all on display. I really like the final product. Local Flavor solves a few problems for me. 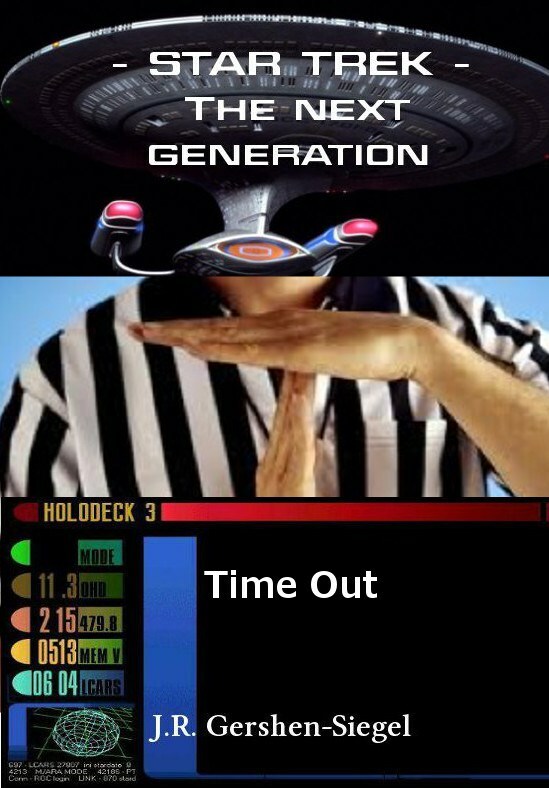 First of all, the Trek BBS held a Star Trek fanfiction challenge called “Out of Uniform“. So the idea was to show people not in typical starship settings. I seized upon the opportunity to show Lili and Doug first moving to Lafa II. Hence this is the morning after the end of Reversal; Local Flavor is the very beginning of “happily ever after”. Travis flies Doug and Lili to the surface. Also, he makes a point of telling Lili that Captain Archer and Malcolm both expressed regrets at not being able to personally see her off. For the captain, it’s because he was busy with other duties. However for Malcolm, it’s because he’s beginning to realize that he cares for her. But he can’t say anything; she’s off to marry someone else. As he confides to her in Together, her life is just zooming along and away from him, and he can’t do anything to stop it. Upon landing, they are picked up by Treve, who drives them to their new apartment, which is later seen in A Kind of Blue and The Gift. On the way, Doug asks about changing his surname. Treve reiterates that Calafans don’t have last names, so the only people on Lafa II who would care are him and Lili. Doug ends up simply declaring his new surname to be Beckett. They see the apartment and then the action moves to an open-air market, where a number of Calafan delicacies are to be had, including linfep, tofflin and elekai. Even prako (procul) show up, but they are too expensive, as they have been brought to the market by Eska hunters, from Archer’s Planet (in my fan fiction, during the E2 stories, that world is called Amity). Plus the idea of the Calafans always being on the make comes out, as does Doug’s temper. Even some of the alien gesturing is explained, and the cake made at the end has a blueberry filling. Because that is a shoutout to my portrayal of Jay Hayes as loving blueberries. A lot happens in a short amount of time. Doug and Lili are exposed to Calafan society through a fire hose. And the reader, in some ways, gets that same sort of treatment. In some ways, this story is like another “elevator pitch” tale (like The Light). This is because it serves as an introduction to a lot of disparate aspects of my universe.